Annecy, France. The storm approaches! As you can see from the picture above, rain was threatening. It held off until I was snug in my tent that night and then let loose with a vengeance. When I awoke the next morning, the storm had blown itself out and I was able to continue on my way. 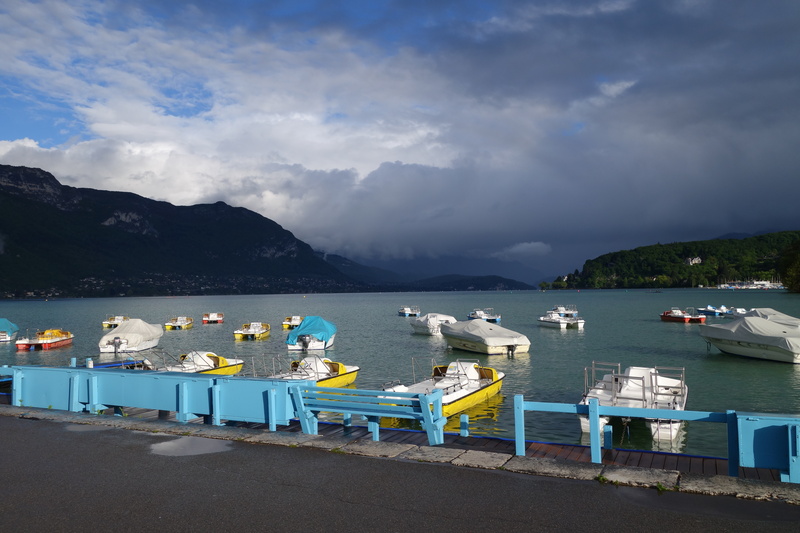 The rough plan was to arrive in Thonon-les-Bains on the southern shore of Lake Geneva and take a boat across to Lausanne, but I wanted to avoid the main roads. 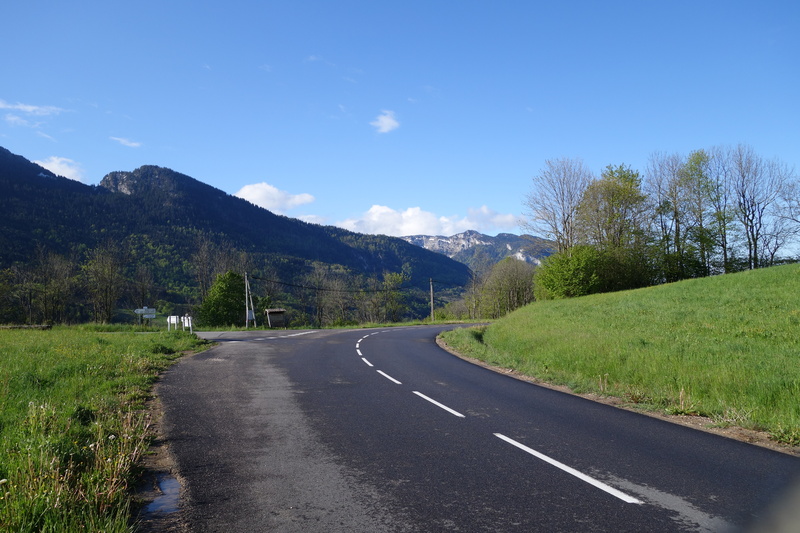 I looked at the map and selected some small roads that looked promising. I hadn’t bargained on the fact that those roads cross a low range of mountains, but it was still a beautiful ride, just a little harder than I expected. 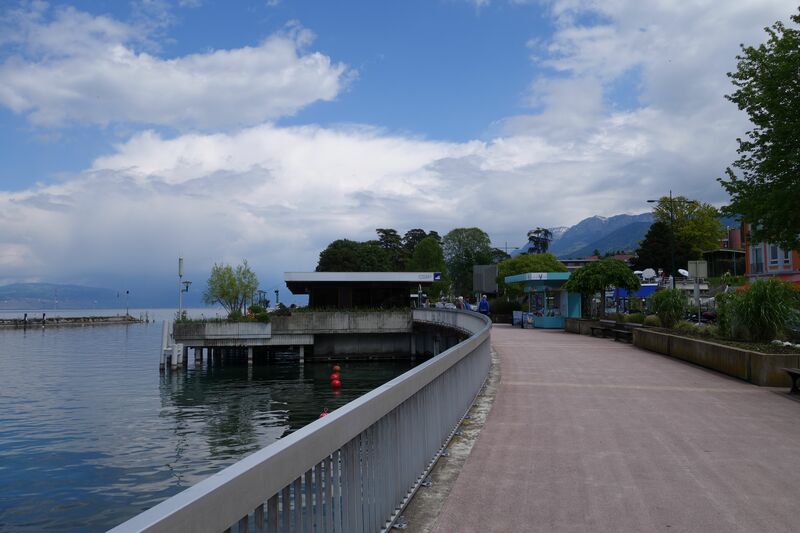 When I arrived in Thonon-les-Bains, I was informed that the ferry there did not take bikes but that the one at Evian did, so I rode another few miles down the road. At Evian, they told me I was misinformed at Thonon and should have been able to get on any boat I wanted, but since I was here, no problem, hop on the next boat! It was a short and pleasant ride across the lake to Switzerland. I first met Luc and Val a little over a year ago when they were riding their bicycles around the world and they invited me to visit them at home if I was ever in the region. They are wonderful photographers and you can see photos from their journey here. Their blog is here and it’s worth clicking on even if you don’t read French. Before the boat even docked I was able to recognize the two cyclists waiting in the crowd . 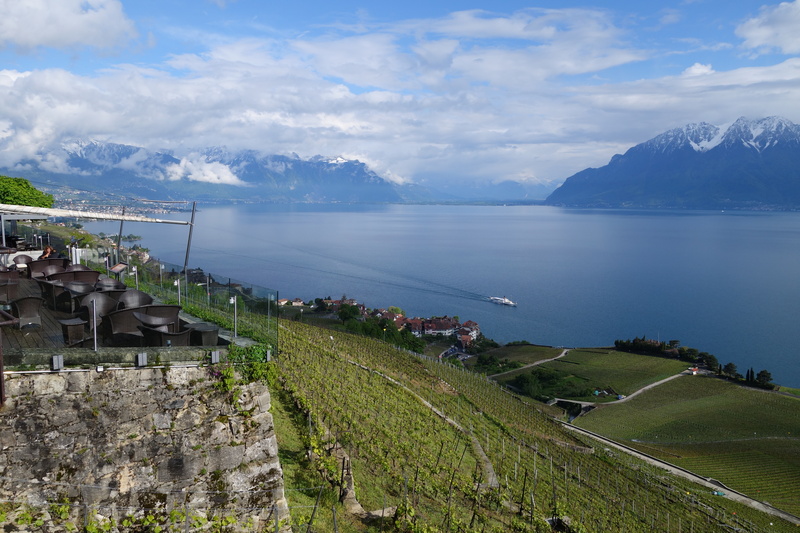 They gave me a quick tour of Lausanne and then we rode through the vineyards toward La-Tour-de-Peilz. I was delighted to see views like this on my very first bike ride in Switzerland! My wonderful hosts spent the next few days introducing me to the joys of Swiss cooking, taking me hiking in the mountains to look at wild flowers, and picnicking on the shore of Lake Geneva. Stay tuned for Vacation pt3! This entry was posted on September 25, 2014 by Thompson Custom Bicycles. It was filed under Uncategorized .